Pupils in St Helier took part in an Olympic-inspired sports day lead by Olympian and two-time World Champion rower, Toby Garbett. Taking place at Perseid Upper School, the shared sports day was enjoyed by pupils from Abbotsbury, Perseid, St Teresa’s and Malmesbury primary schools. Toby Garbett, who is currently a triathlete, kicked off the day by giving the pupils a talk about his sporting career and carried out some warm up activities with the children, including a mini-triathlon session where the pupils were given the chance to dress up in competition gear and have a go on his triathlon bike. 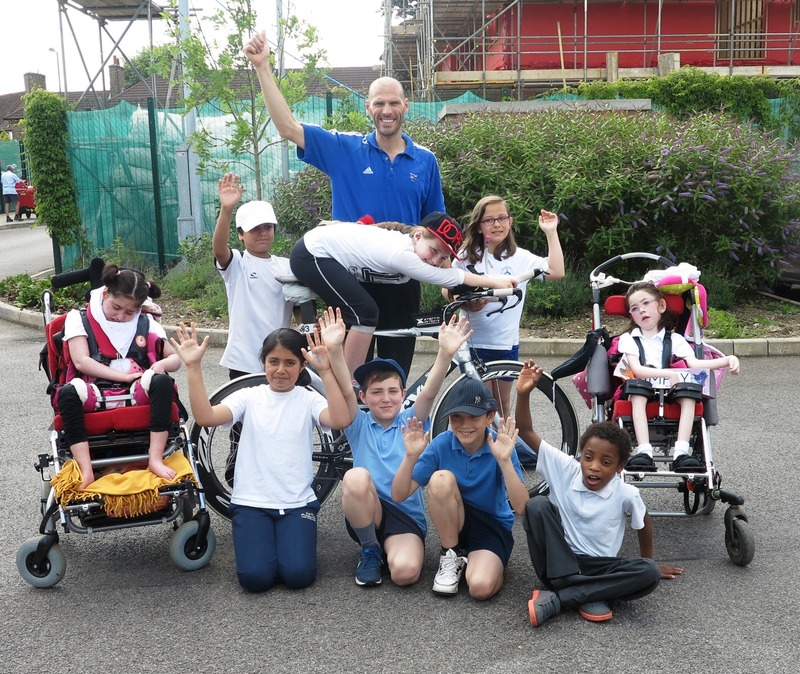 Following the session with Toby Garbett, the children divided into teams with a mixture of pupils from each school and took part in a range of games and competitions. In keeping with the Olympic theme, the pupils focused on sportsmanship and awarded each of their team mates with a certificate based on their personal qualities and sporting strong points. Certificates were awarded for ‘Olympic values’ including courage, excellence, respect and determination.